NHS services across Cheshire and Merseyside are experiencing a high demand on urgent care services. 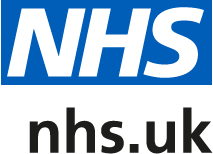 Mid Cheshire Hospitals NHS Foundation Trust (Leighton Hospital) are reminding patients that A&E services are for potentially life-threatening and serious conditions only. If you do not have this type of condition, you highly likely to experience long wait times when there are other services you can access that could get you better sooner. There are a number of other services available to you. You can call 111 for free 24/7 when you need medical help fast but it’s not an emergency. The NHS 111 service is staffed by a team of fully trained advisers, supported by experienced nurses and paramedics. They will ask you questions to assess your symptoms, then give you the healthcare advice you need or direct you straightaway to the local service that can help you best. Pharmacists are highly trained clinicians. They can give expert advice on common illnesses including coughs, colds, aches and pains and they can answer questions about prescribed medicines. They can also advise on treatment of minor injuries. Find your nearest Pharmacy at NHS Choices. You can be prepared to treat minor illness and injury at home using a well-stocked stocked medicine cabinet. You can find more self-care advice on our NHS Choices. The service is provided according to strict clinical criteria, and when you call you’ll be assessed by a member of the clinical team.